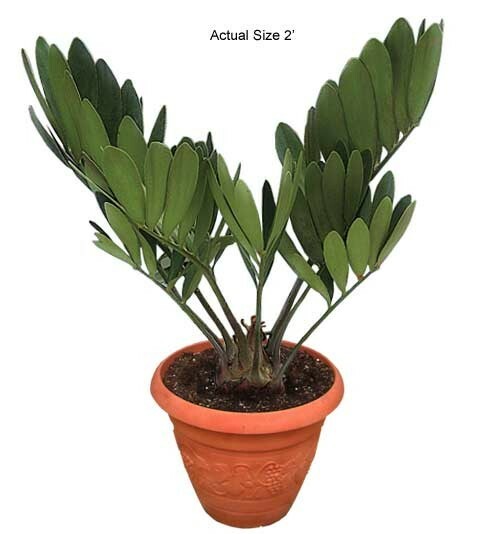 The Cardboard Palm Tree (Zamia furfuracea) is from the country of Mexico but is not a palm tree. 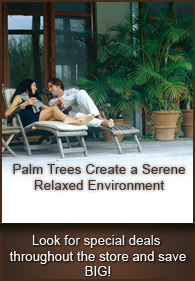 It has many common names such as Cardboard Palm, Cardboard Plant, Cardboard Sago, Cardboard Cycad, and Mexican Cycad. The Cardboard Palm Tree is a palm like plant which is used for wonderful looking under-growth for large palm trees. The Cardboard Palm Tree is easily maintained and grows to a maximum height of around 4-6 feet tall. It is slow growing and can be considered cold hardy because it is known to handle temperatures down to 25 degrees F. It makes a great indoor plant or our door plant. Usually planted as shrubs, the Cardboard Palm Tree can also make a great center piece. The Cardboard Palm adds a little lush vegetation to any area. For more photos of the Cardboard Palm, visit our Cardboard Palm Photo Gallery, it’s packed with vivid pictures of the Cardboard Palm for indoor and outdoor uses!